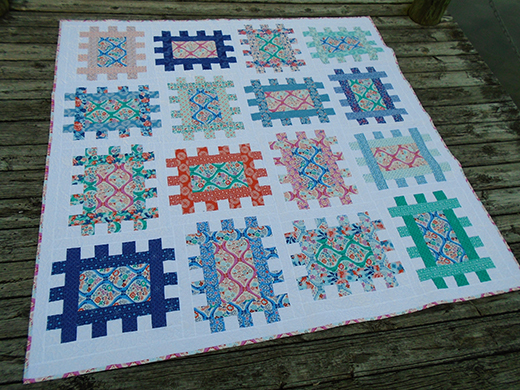 This Garden Plots Quilt designed by Alison Vermilya for Modabakeshop, The Tutorial is available for free. "I’m Alison from Little Bunny Quilts back today sharing a brand new quilt featuring Voyage by Kate Spain! Lately, I’ve really enjoyed making and using big blocks to make quilts and this quilt uses only sixteen 18″ blocks to make a very generous throw sized quilt!"